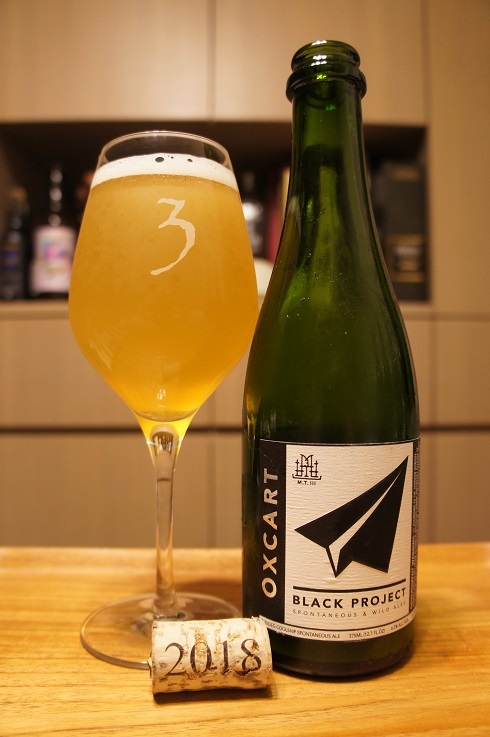 Brewer Description: (from bottle) Oxcart is a blend of 3 years of traditional Lambic-inspired, coolship spontaneous ale that follows the Methode Traditionnelle guidelines. 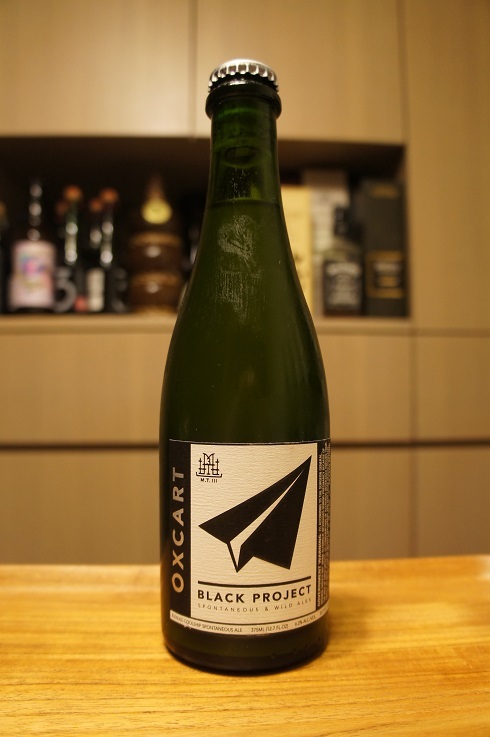 Oxcart is the purest expression of our goals with Black Project as spontaneous fermentation yields what we believe to be true terroir, great complexity, and depth of flavour. 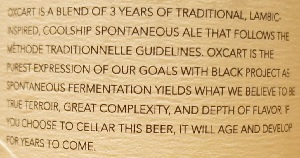 If you choose to cellar this beer, it will age and develop for years to come. Intro: A 375ml corked and capped bottle, bottled in February 2018, Blend B. Poured into a 3 Fonteinen stemmed glass. Appearance: A hazy straw golden yellow colour with a one finger white head that dissipated fairly quickly and left some sparse spotty lacing. Aroma: Tart, sour, lemon zest, lemon, light funk and oak with hints of stone fruit. Taste: Sour, tart, lemon zest, light funk, brett and oak. Overall: It was nice, but it doesn’t have the complexity of the top Belgian Gueuze’s. Everything like the funkiness, brett and oak character just seemed a bit light and lacking in comparison. Having said that, if it was cheaper, I would still drink it, but at the moment for me, it is still a lot more expensive than 3F A&G for example. It would be an interesting experiment to age some bottles of this though.